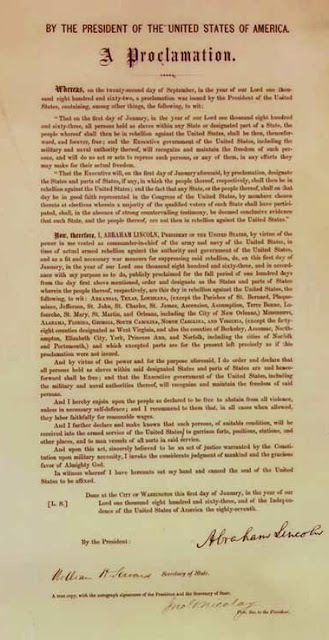 Issued on January 1, 1863, this Presidential Proclamation declared "that all persons held as slaves" within the rebellious states "are, and henceforward shall be free." 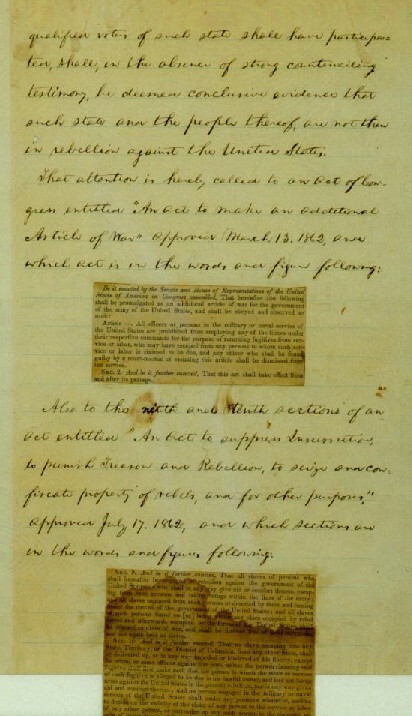 "The text reveals the major themes of the Civil War: the importance of slavery to the war effort on both sides; the courting of border states; Lincoln’s hopes that the rebellious states could somehow be convinced to reenter the Union; the role of black soldiers; Constitutional and popular constraints on emancipation; the place of African Americans in the United States, and America’s place in a worldwide movement toward the abolition of slavery. 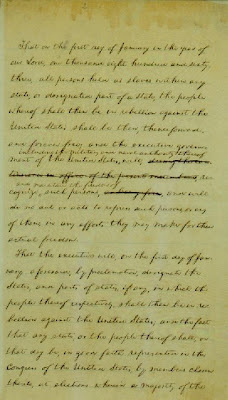 In sounding the death knell for slavery and the “Slave Power,” the president took a decisive stand on the most contentious issue in American history." 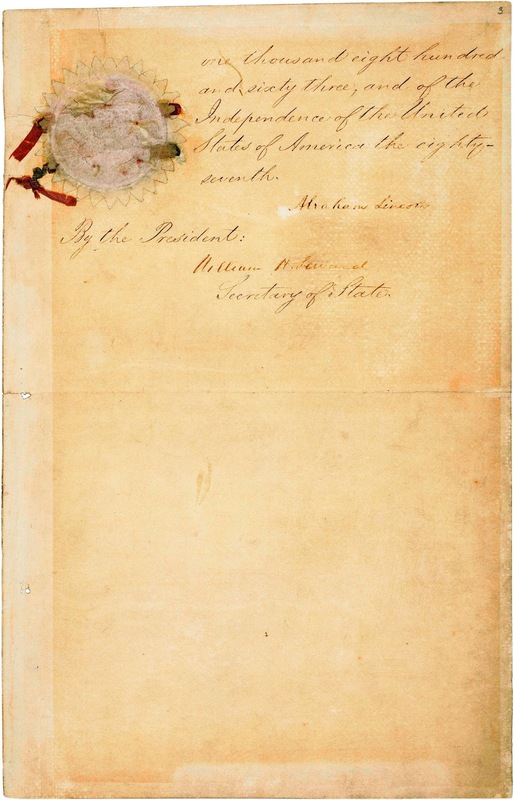 It is important to note that the orders were directed only to the states that seceded from the Union. 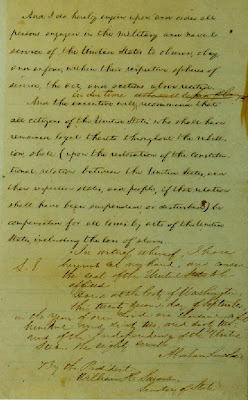 Slave states that remained with the Union were not affected and slavery remained legal. 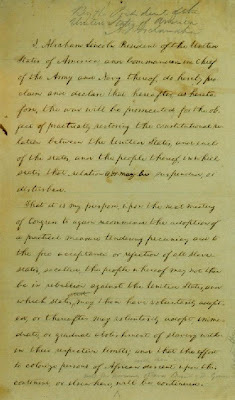 It would not be until 1865 that the ratified 13th Amendment to the Constitution freed all slaves with this language: Neither slavery nor involuntary servitude, except as a punishment for crime whereof the party shall have been duly convicted, shall exist within the United States, or any place subject to their jurisdiction. 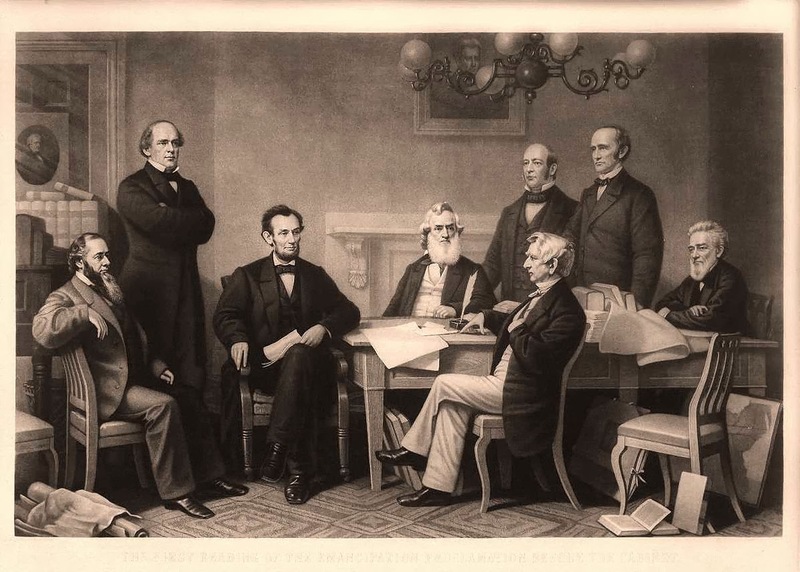 Scope & Content President Abraham Lincoln issued the Emancipation Proclamation on January 1, 1863, as the nation approached its third year of bloody civil war. 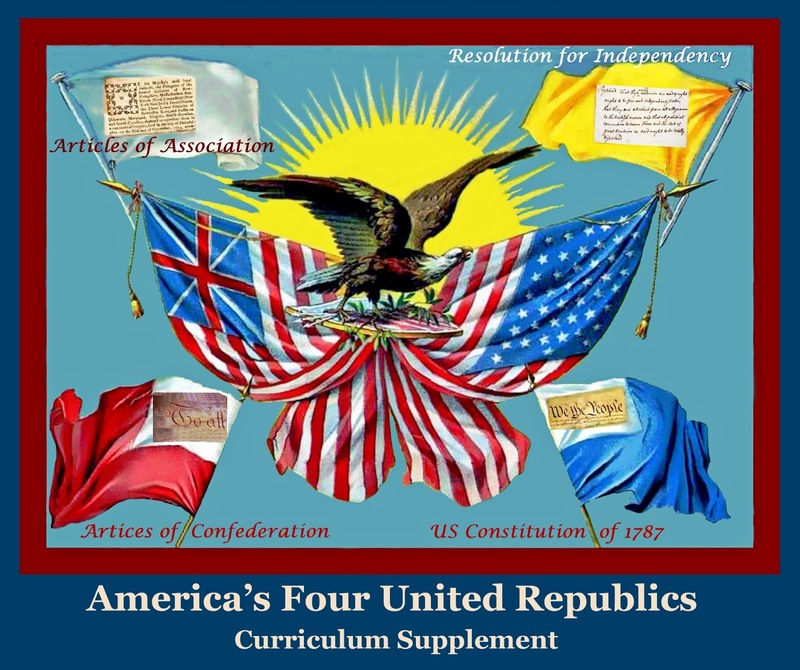 The Proclamation declared "that all persons held as slaves" within the rebellious states "are, and henceforward shall be free." 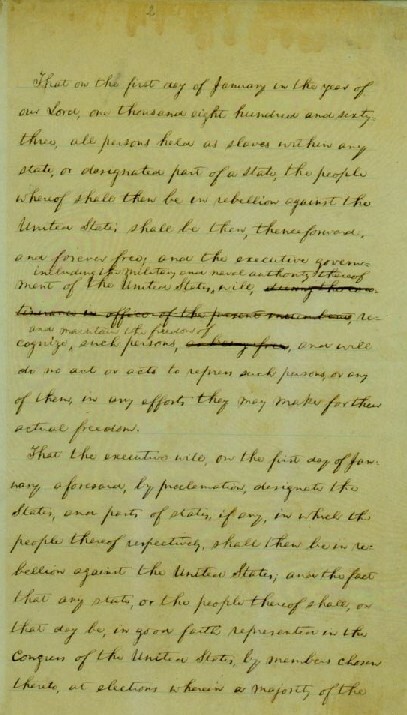 Despite that expansive wording, the Emancipation Proclamation was limited in many ways. It applied only to states that had seceded from the Union, leaving slavery untouched in the loyal border states. 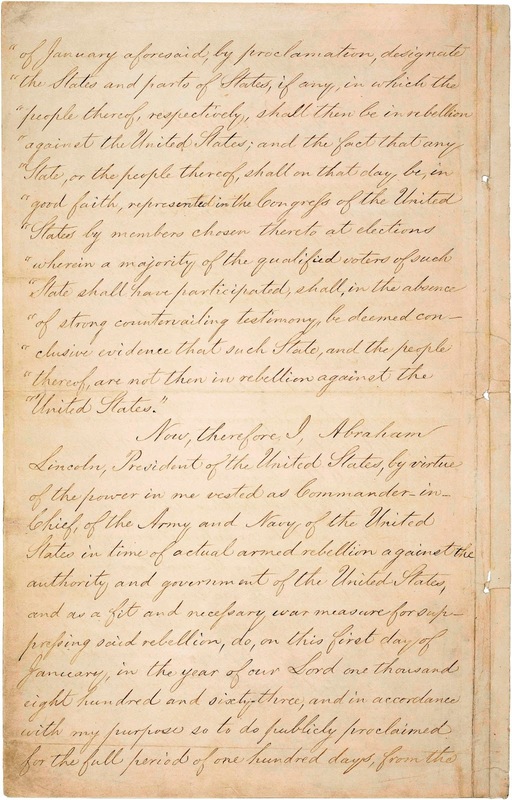 It also expressly exempted parts of the Confederacy that had already come under Northern control. 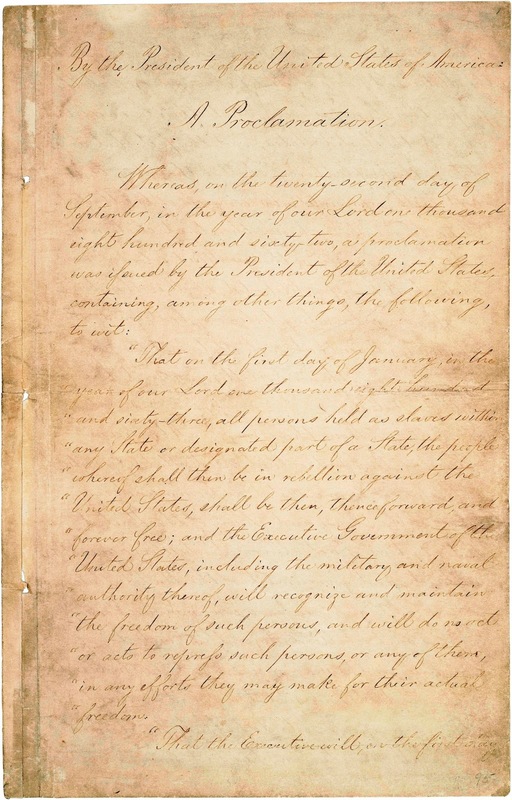 Most important, the freedom it promised depended upon Union military victory. 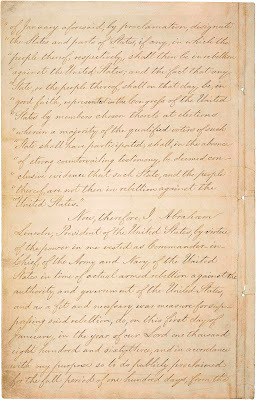 Although the Emancipation Proclamation did not immediately free a single slave, it fundamentally transformed the character of the war. 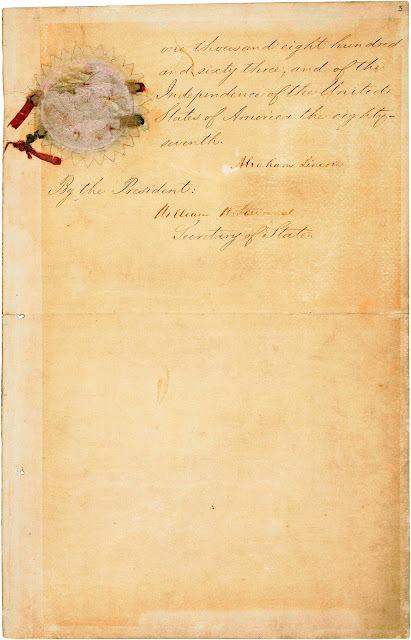 After January 1, 1863, every advance of Federal troops expanded the domain of freedom. 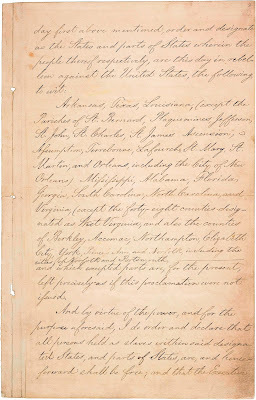 Moreover, the Proclamation announced the acceptance of black men into the Union Army and Navy, enabling the liberated to become liberators. 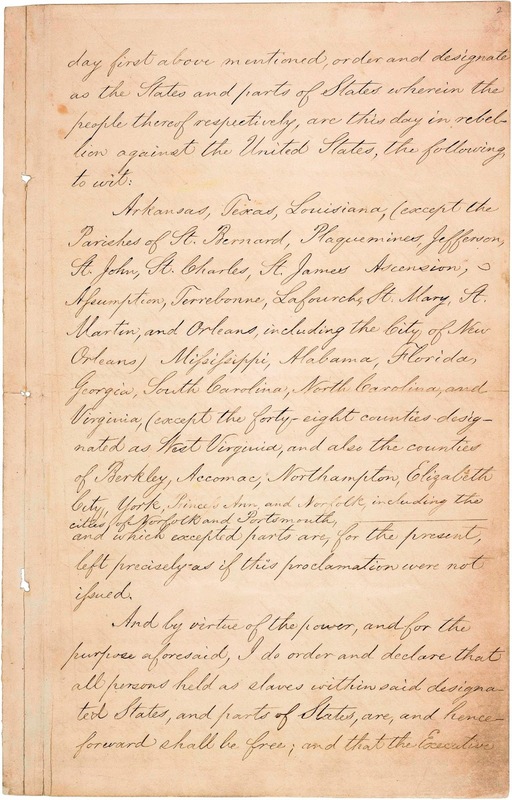 By the end of the war, almost 200,000 black soldiers and sailors had fought for the Union and freedom. 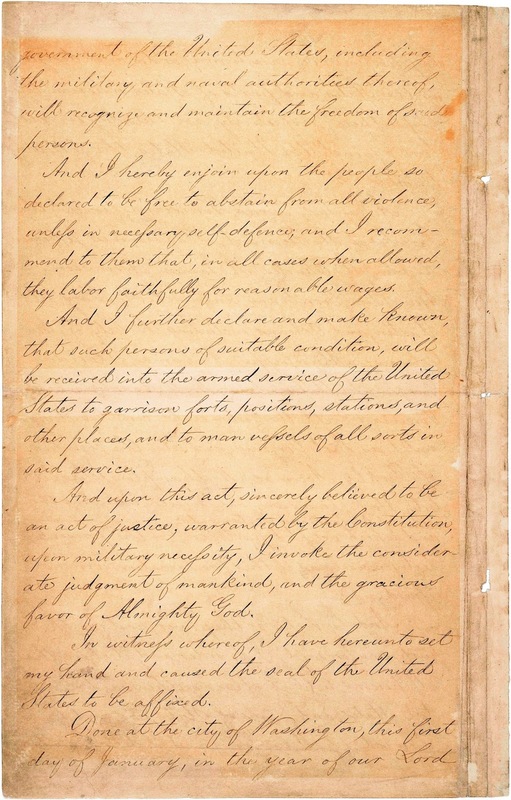 From the first days of the Civil War, slaves had acted to secure their own liberty. 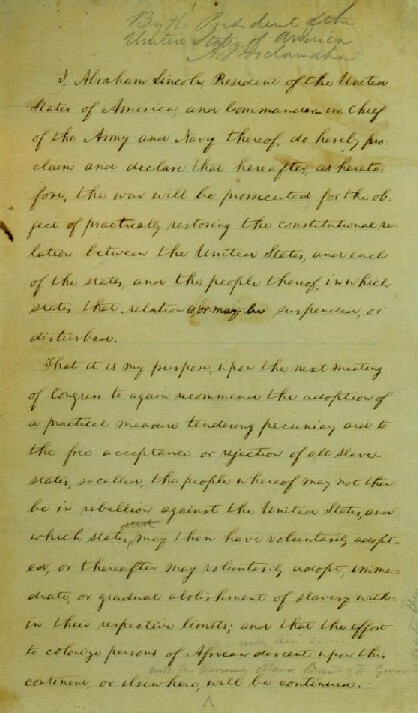 The Emancipation Proclamation confirmed their insistence that the war for the Union must become a war for freedom. It added moral force to the Union cause and strengthened the Union both militarily and politically. 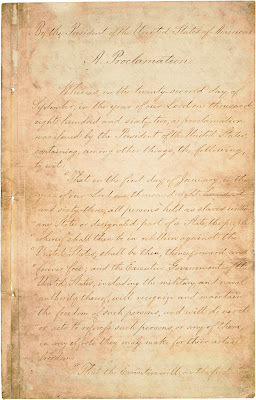 As a milestone along the road to slavery's final destruction, the Emancipation Proclamation has assumed a place among the great documents of human freedom. General Note Exhibit History: "The Emancipation Proclamation," National Archives Rotunda, September 15, 1997, January 31-February 6, 1997, January 11-January 18, 1996, January 12-January 19, 1995, January 13-January 20, 1994, December 31, 1992-January 4, 1993. Museum of Our National Heritage, Lexington, MA, September 1983-April 1984. Nelson Gallery of Art, Kansas City, MO, May 14-May19, 1980. 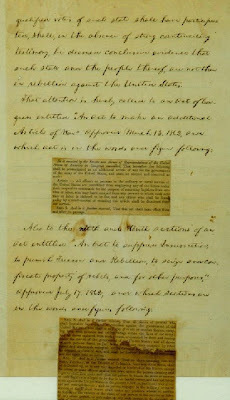 "The Written Word Endures," National Archives Circular Gallery, May 1976-August 1979. 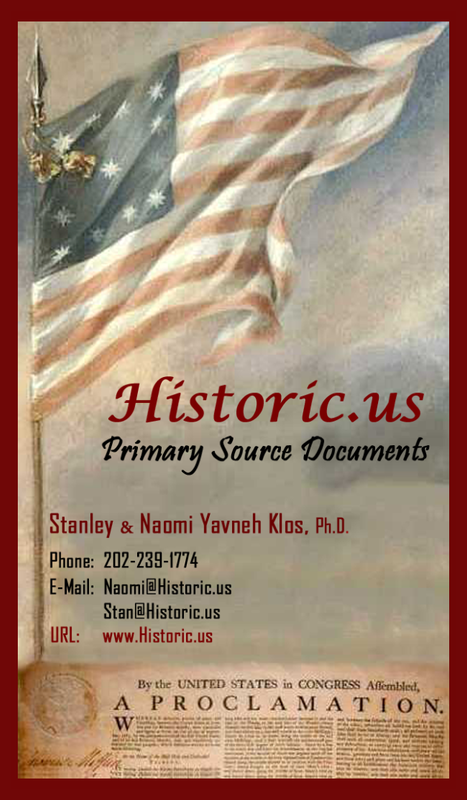 Lyndon Baines Johnson Library, Austin, TX, December 1972-May 1973. "Centennial Exhibition," National Archives, Washington, DC, 1963. 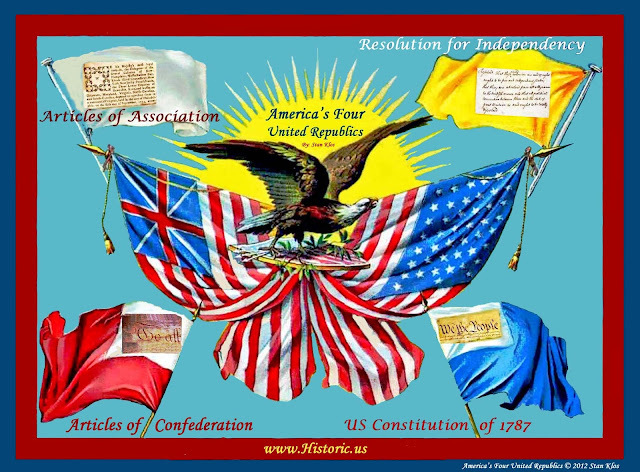 American Stamp Dealers Association, National Postage Stamp Show, New York, NY, November 19-November 21, 1954. "Freedom Train," National Archives, 1950. "Freedom Train," (traveling), September 1947-January 1950.